Hi Guys! I hope you all are doing good. 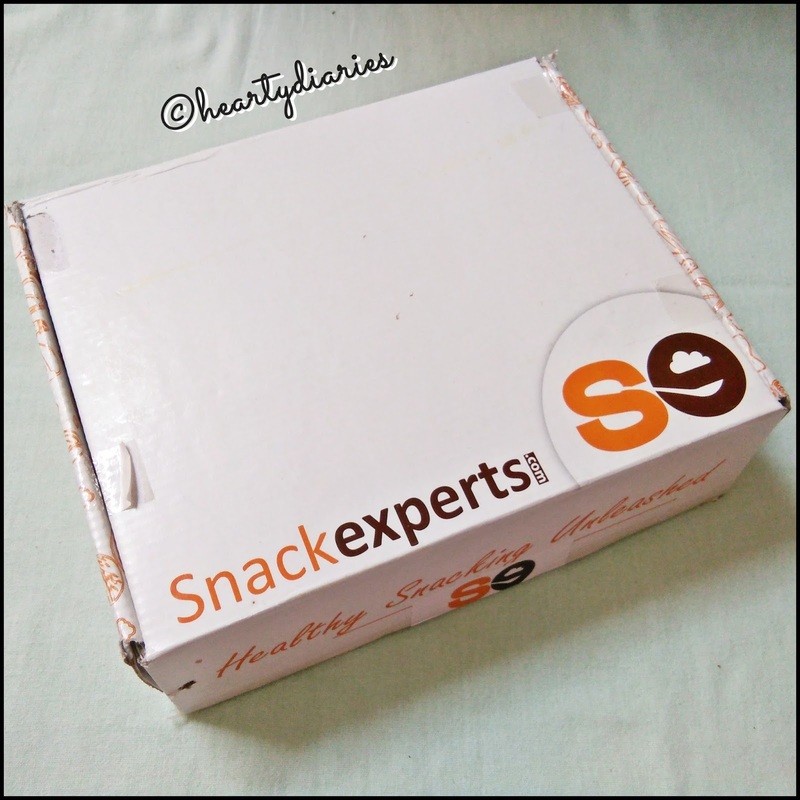 As you know, I usually share my reviews about Makeup and Beauty stuff, today I am sharing my review about something really different.. Its all about SNACKS from an amazing brand, SnackExperts! No matter how much we all love makeup and stuff like that, snacks are equally loved by everyone. Snacking can never be healthy, this myth doesn’t exist anymore today.. Healthy eating is so important and snacking isn’t bad, if done in a moderate way. It actually prevents us from overeating by decreasing our hunger and also provides energy in the middle of the day. 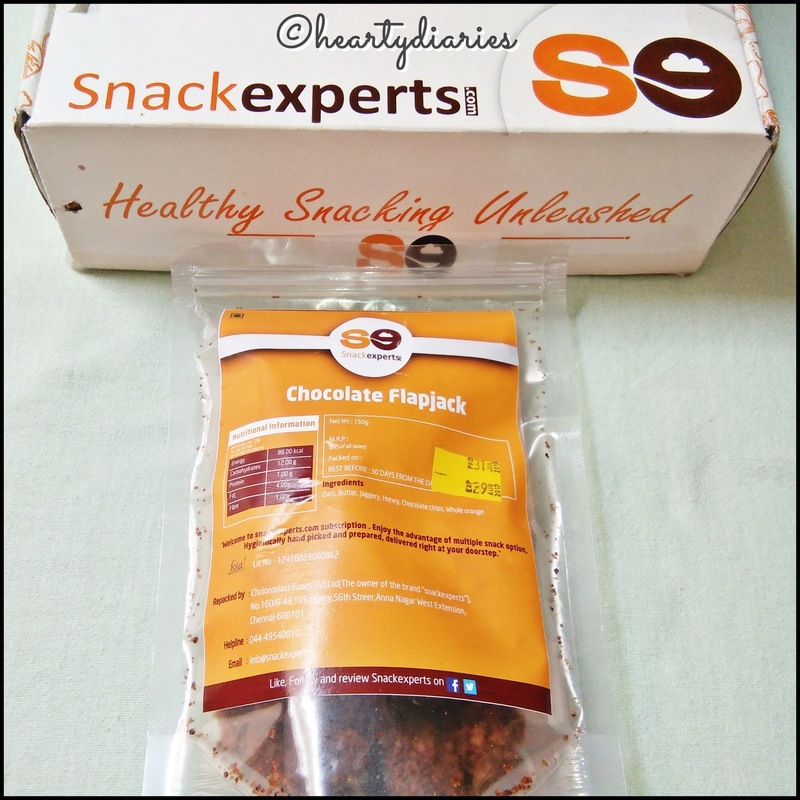 At SnackExperts, we promote snacks that are safer, healthier, and better for people &our planet. From increased rates of cancer and diabetes to climate change, it has become clear that the eatables we put in us, on us, and around us – and the way those products are sourced, manufactured, and delivered – is causing us all real harm, instead of nourishing. Our main focus is to introduce our array of snacks to shoppers who want the best for themselves, their families, their communities & our planet to create a better and happier world. 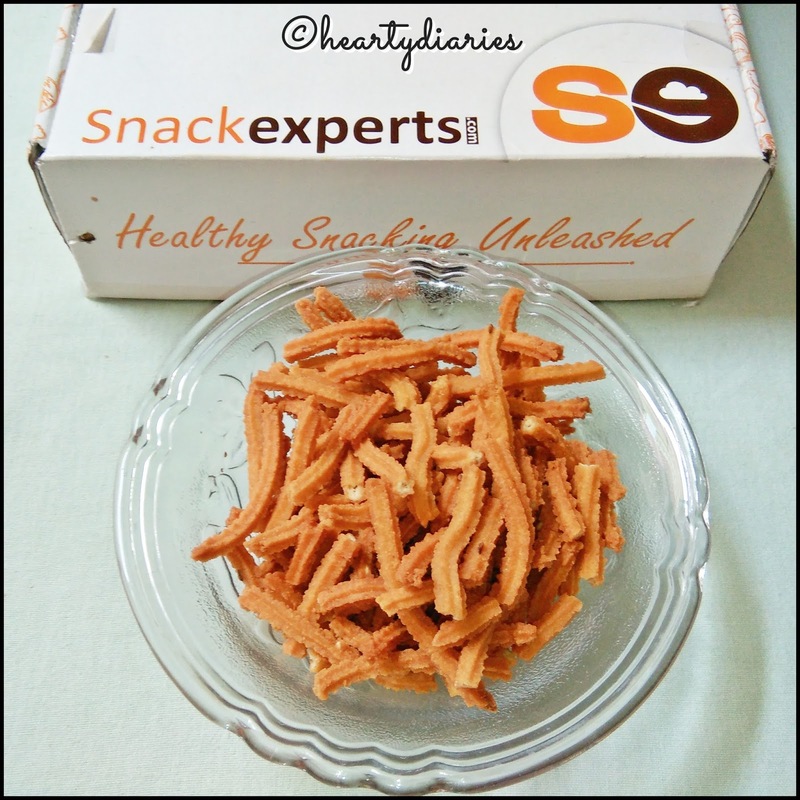 SnackExperts is FSSAI certified and all our snacks are handpicked by our team of experts to ensure the best quality. I really love and support their mission and I’m so excited to collaborate with them to let you guys know more about them. On every order, they deliver a curated snack box to your door, packed with a fine selection of 5 varieties of healthy snacks. They also offer individual boxes as perfect gifts for friends & family. 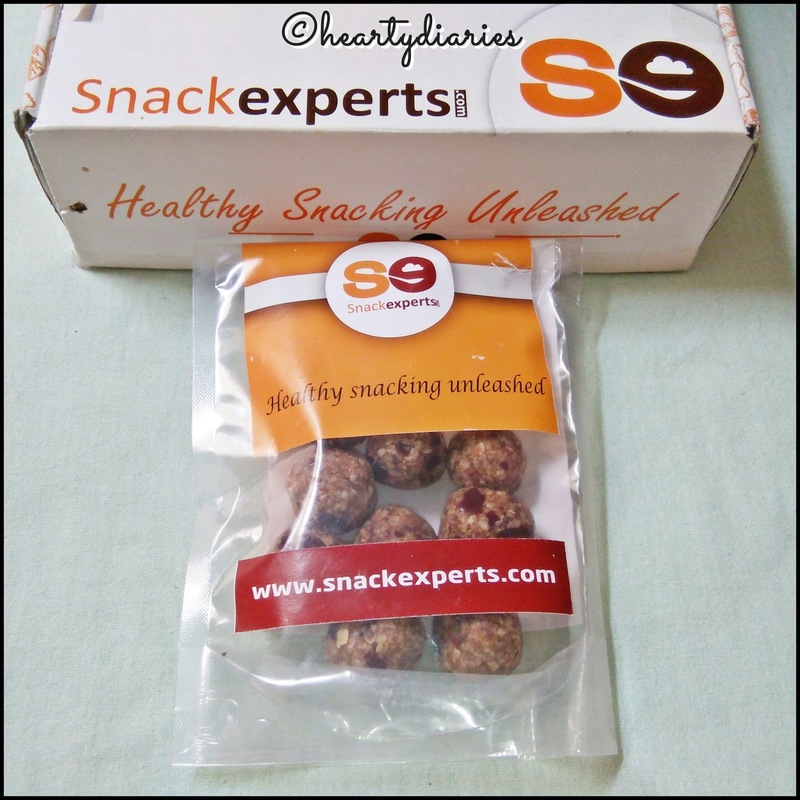 Go to https://snackexperts.com/ and choose your snack box from one of their fabulous plans. 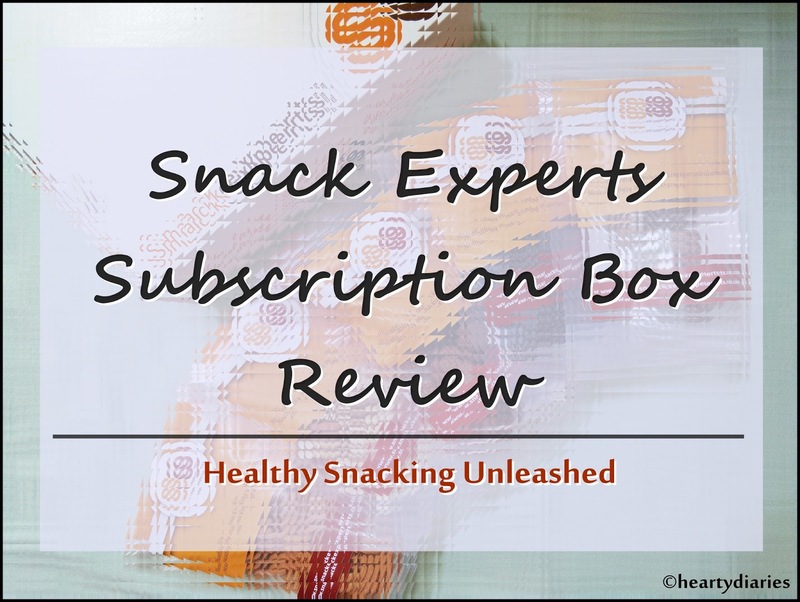 Select your favourite snacks from their awesome varieties and add them into your Snack Pantry.. Each month there will be five snack pouches per box to be selected. You can add as many snacks as you want in your Snack Pantry. Once you create an account on their website, you will be able to select the snack items to your pantry. The first five items in your pantry will be dispatched in your subsequent box. All you have to do is choose one of their three subscription plans, fill in your address and get the box delivered at your doorsteps. The shipping charge is free and and cash on delivery option is available. Find their list of snacks here.. Variety is the spice of life. 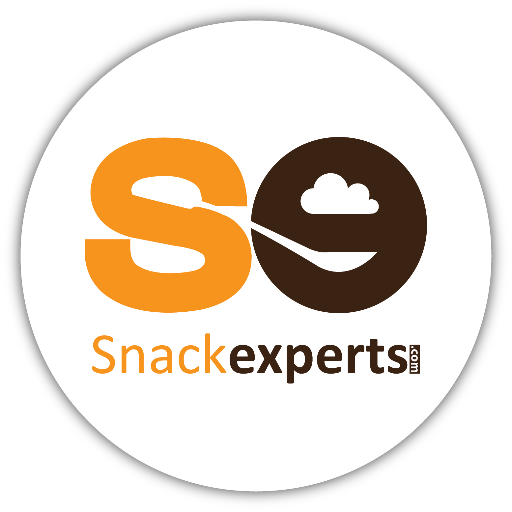 You can choose from 6 different categories and 20 varieties of snacks on their site. They are in the process of adding new varieties every month to bring joy to your taste buds. 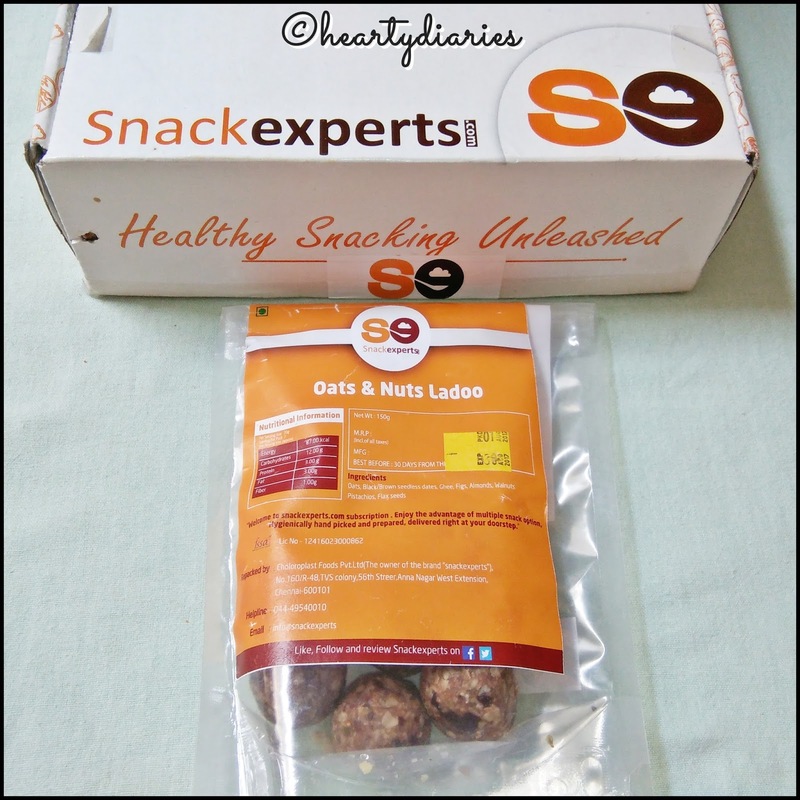 Out of their vast variety, the brand sent me their Standard Box having Chocolate Flapjack, Kodo Millet Crispies, Oats & Nuts Ladoo, Triberry Medley and Old Fashioned Nut Mix.. 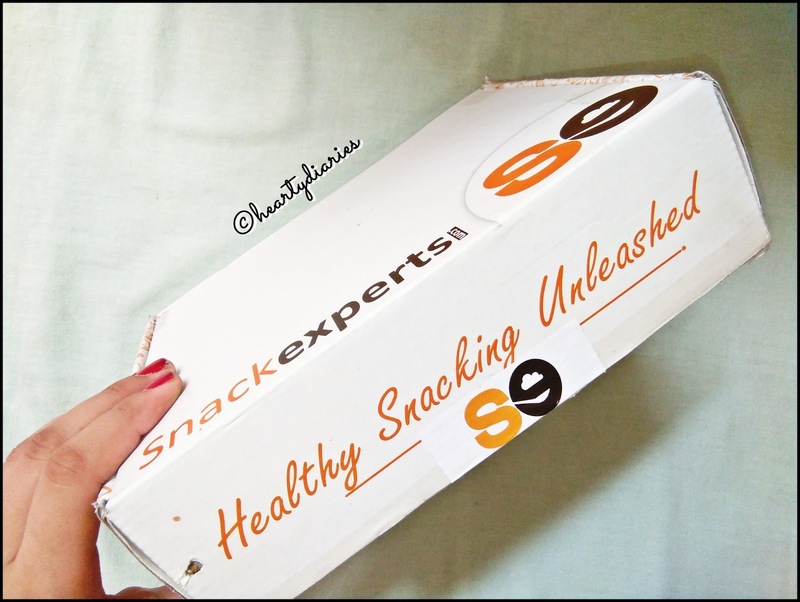 The snacks come inside a sealed, white cardboard box, large and sturdy enough. 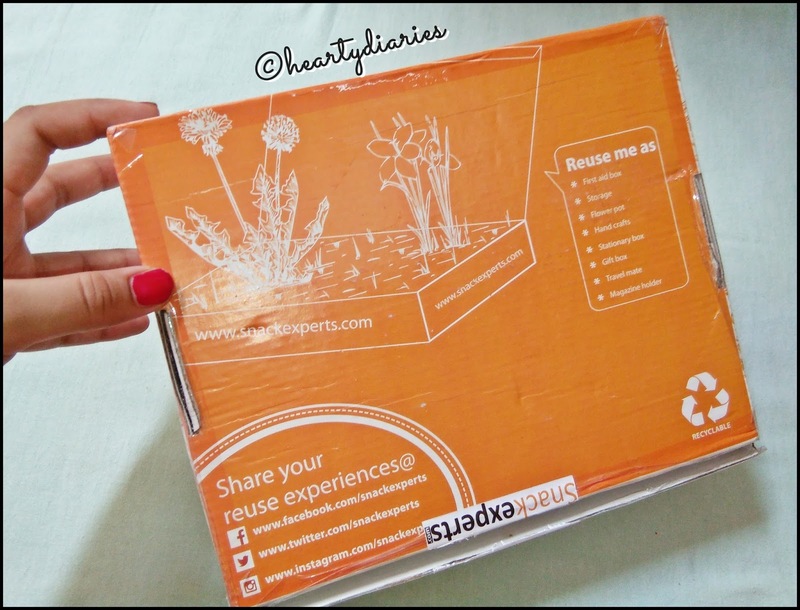 The top of the box has the brand’s logo; the sides have cute clipart detailing and the bottom has a really innovative thought which motivates us to reuse the box in certain ways. The box was cling wrapped, well packed and had five snack pouches of 150 g each. Each pouch is zip locked and was properly sealed to keep the snacks procured, sog and stale free. 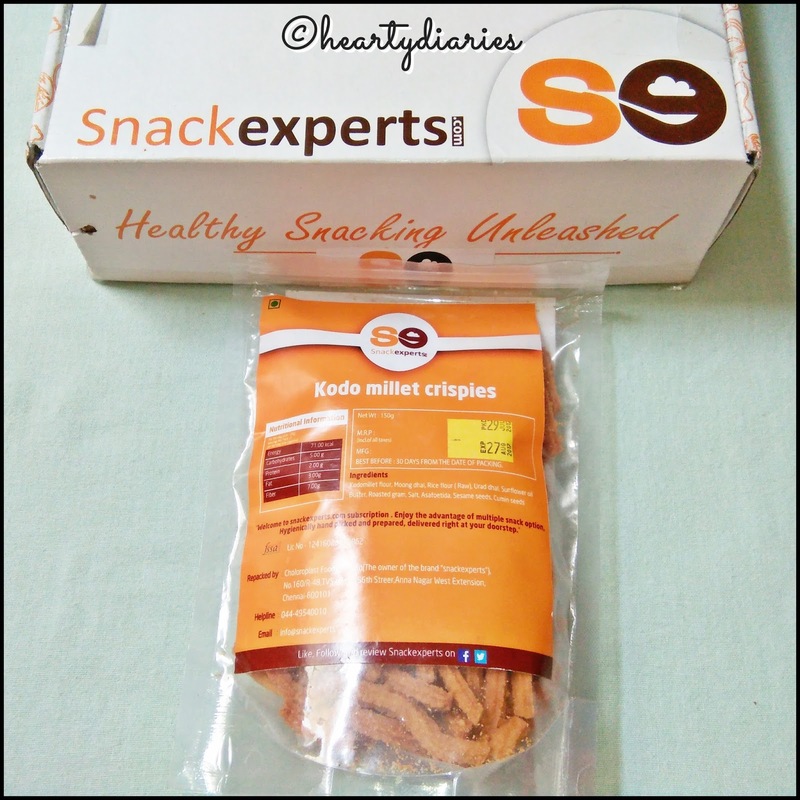 All the snacks have an expiry of one month and each pouch has nutritional information and ingredients list mentioned on it. 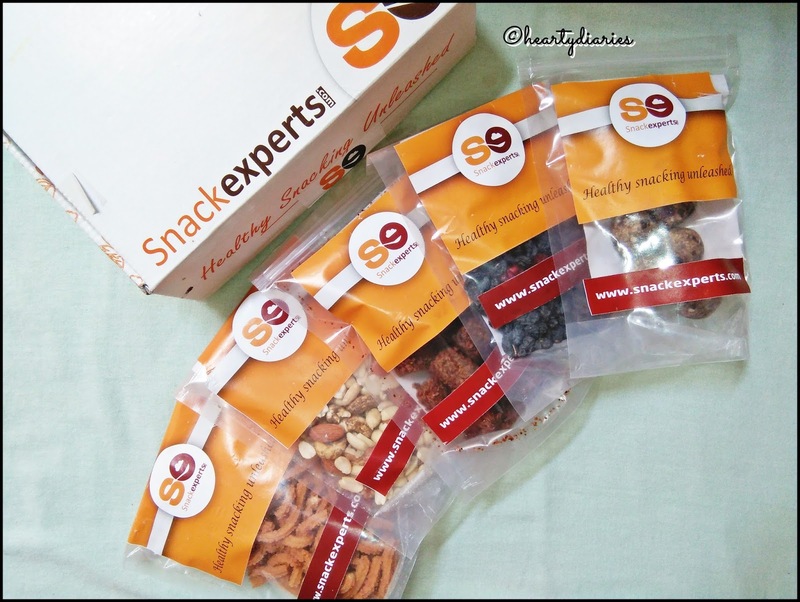 Now let me share my review about all five snacks received in my SnackExperts box..
1. 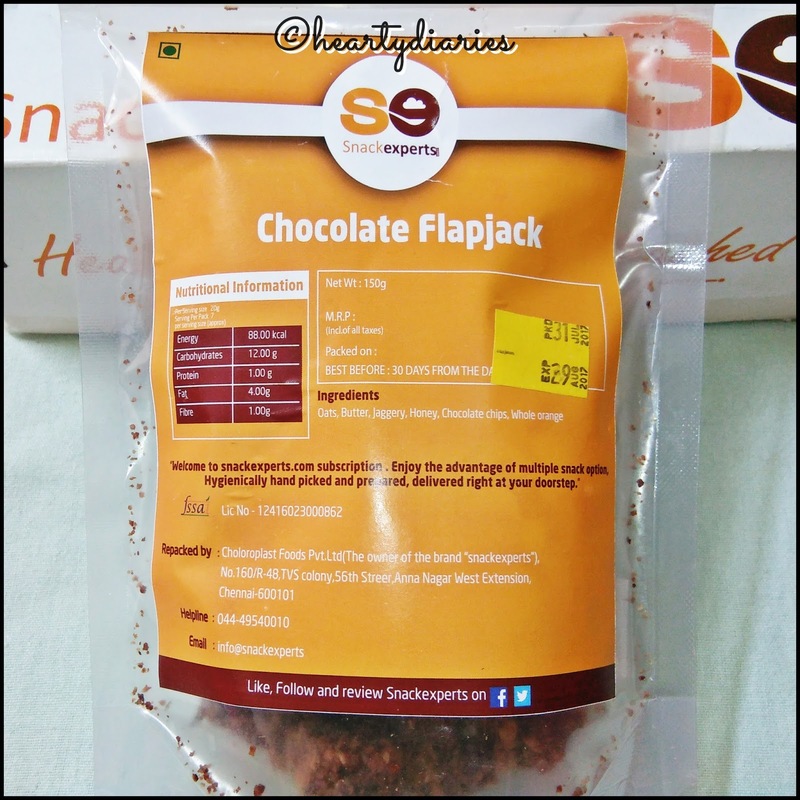 Chocolate Flapjack: It is an Orange flavoured Flapjack sweetened with chocolate chips. It looks exactly like brownies but tastes completely different, almost like oats. It has a chocolaty & sweet taste and is quite hard, though not excessively hard. 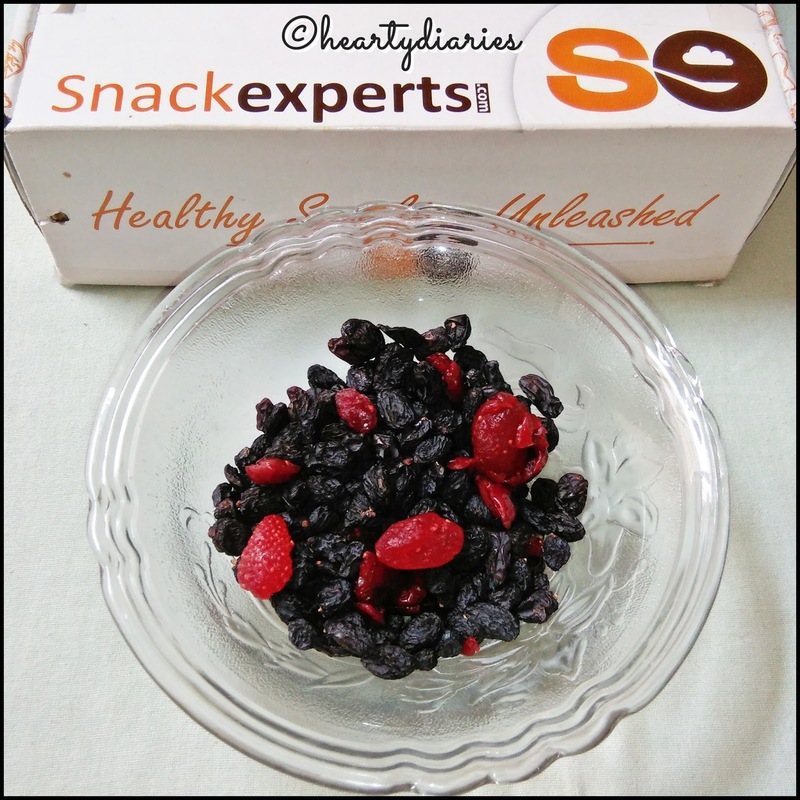 I really liked the overall taste and it would be a great snacking option. Only a piece is enough to energise you and still your hunger. Have a look at this snack’s pouch.. 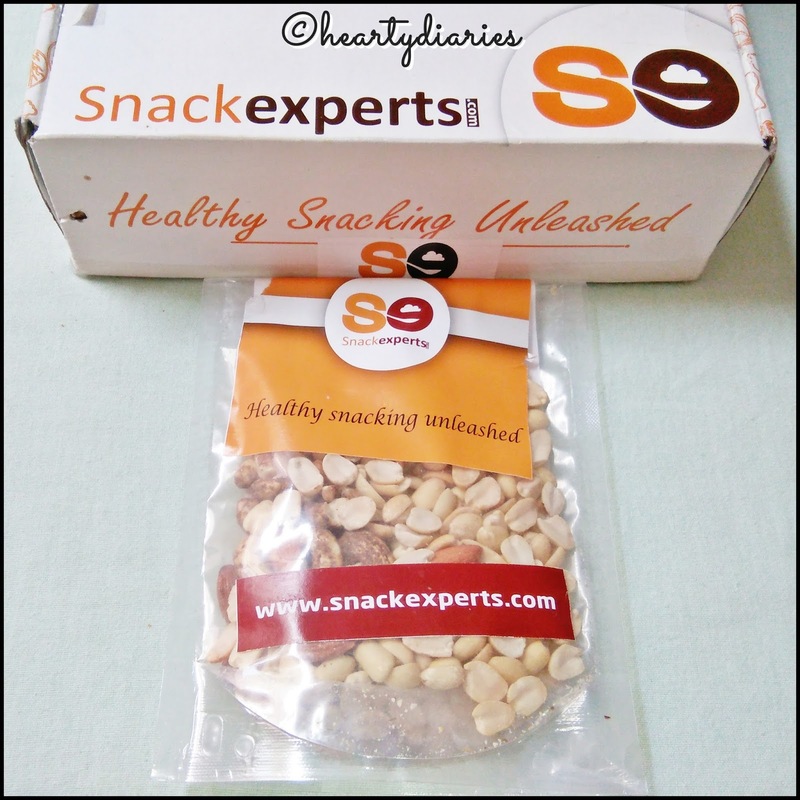 The name of the snack along with its nutritional information and ingredients is given at the back of the pouch, have a look..
Don’t they look really tempting and delicious? Snack description on the website..
On clicking “View nutritional info”, you get to read a fantabulous fact along with the main information of the snack..
2. 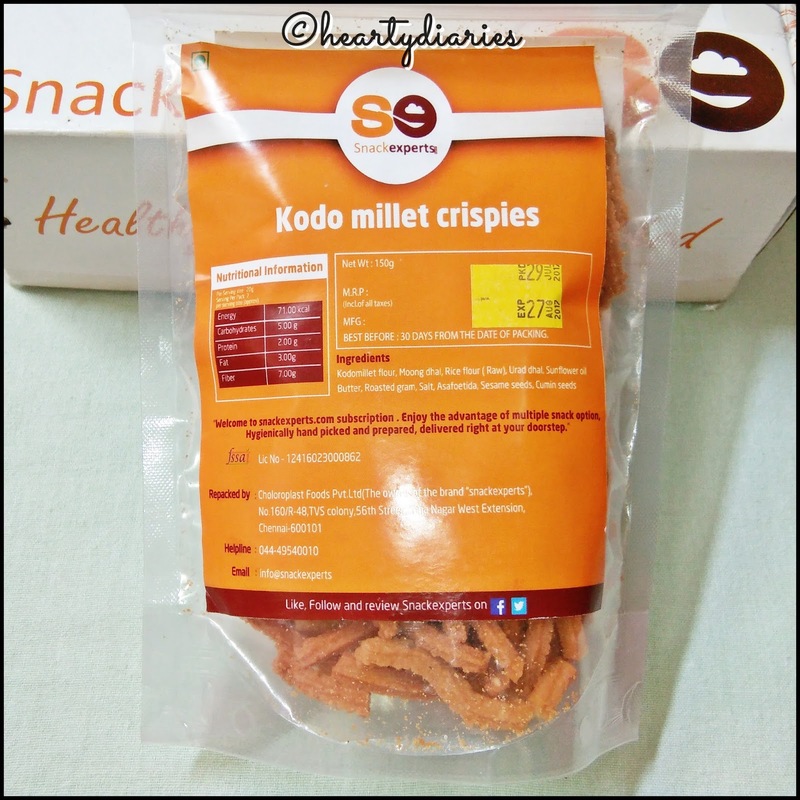 Kodo Millet Crispies: I am a crispies lover and I was so excited and happy to get them in my box. These crispies are a perfect option for tea time snack. I thought these Kodo Millet Crispies are just like Indian Mathri but they taste little different. They’re neither salty nor spicy. They are really hard according to me and crispy but you wouldn’t regret buying them. It is really rich in fiber and can be a perfect snack in the evening. They look really yummy on the website! 3. 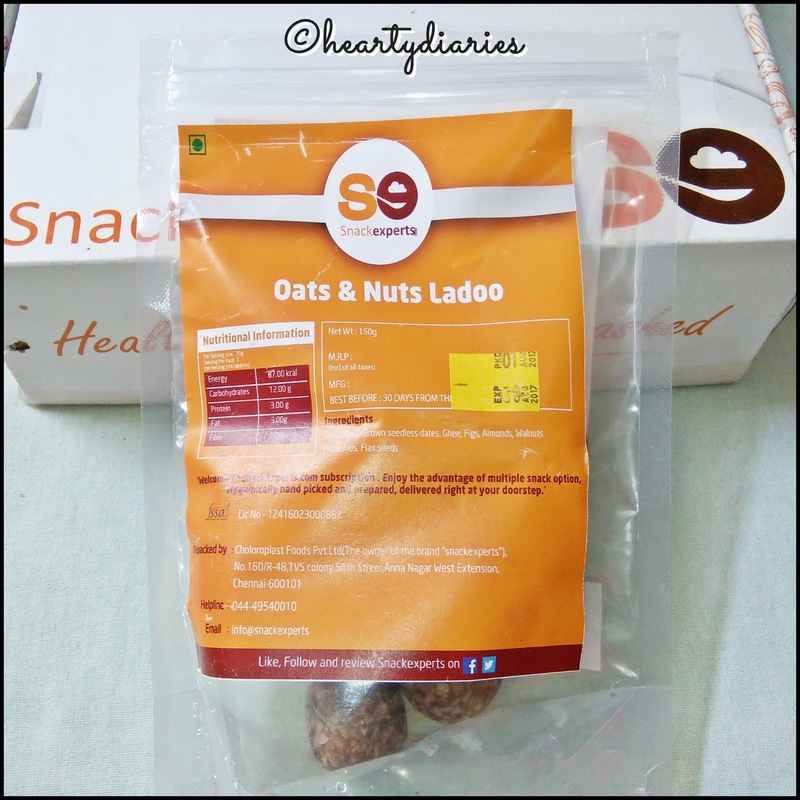 Oats & Nuts Ladoo: Indian households are incomplete without ladoos but they’re really calorific and heavy. 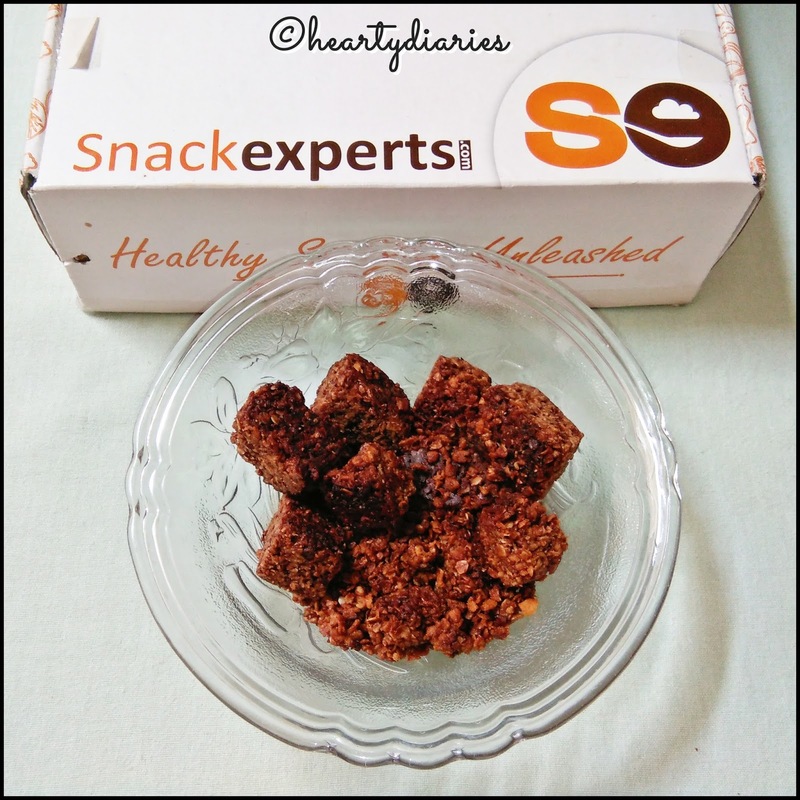 These ladoos by Snack Experts are a perfect blend of oats, dates and almonds and I would love to have them in winters. 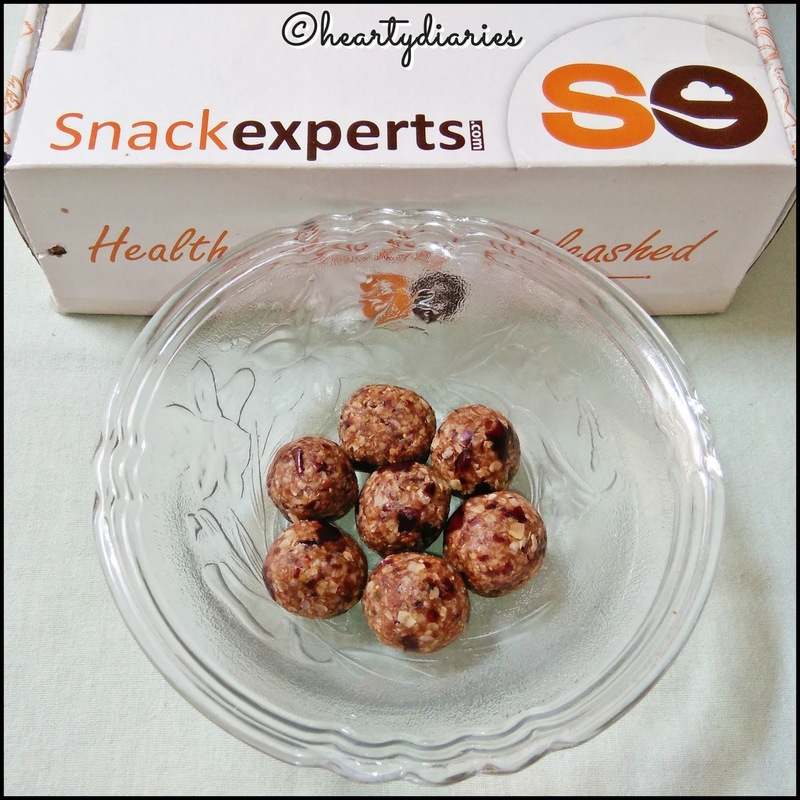 These ladoos are soft, taste nice, are not heavy at all and provide high energy and strength. I got seven ladoos in the pack but I removed two to make this picture look a little nicer..
Do you love how these ladoos look? 4. 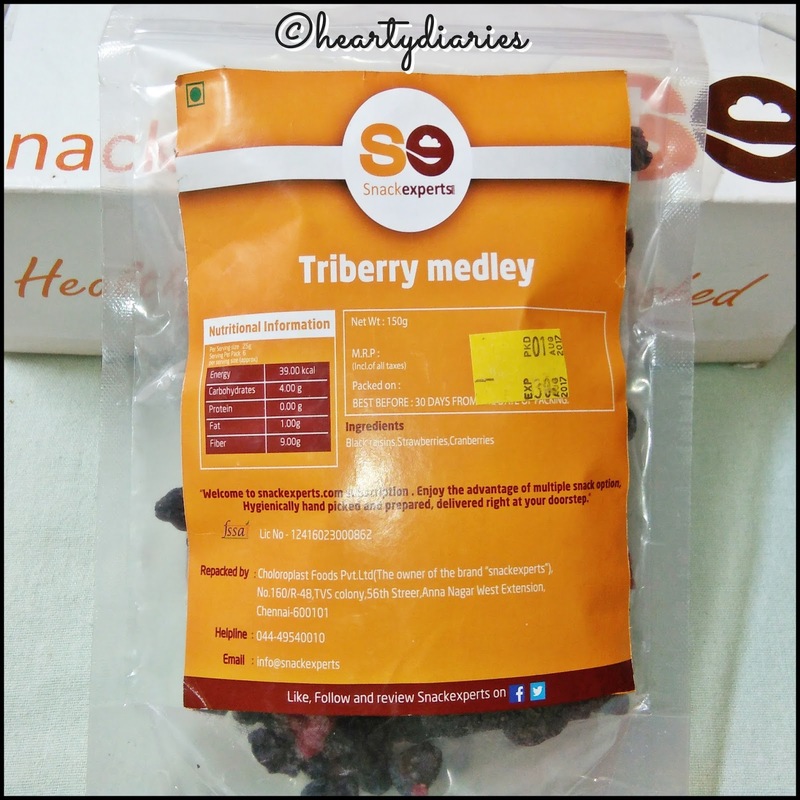 Triberry Medley: Now this was my most favorite snack and the tastiest one in the box. I’m so happy that I got it! 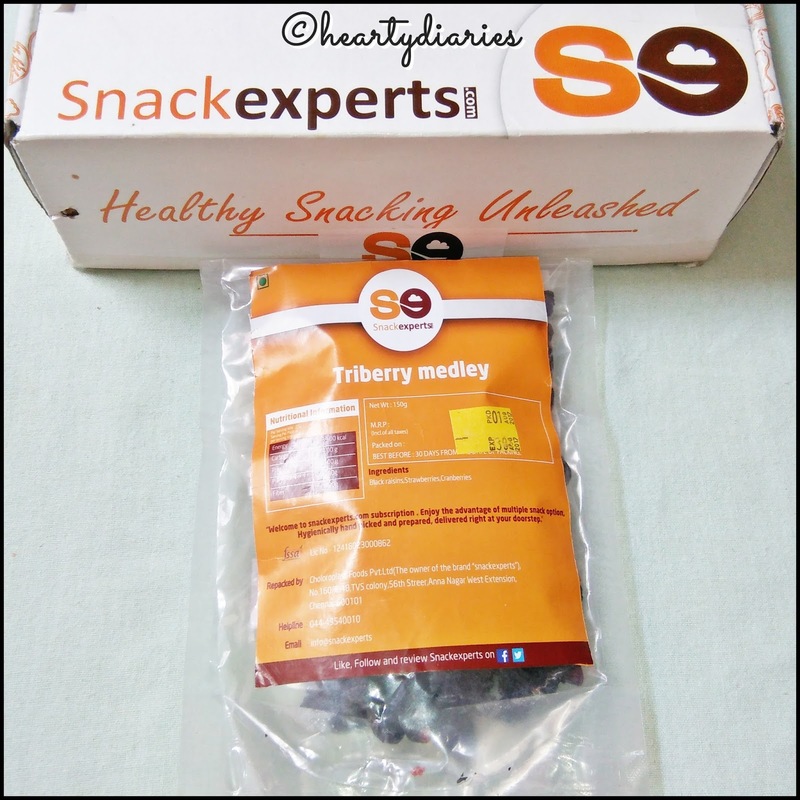 Triberry Medley is actually a mix of dehydrated grapes, cranberries and sugar coated strawberry. This mixture was so tasty that I cannot be descriptive enough and I highly recommend you guys to try it. Its extremely tasty and you would love to give yourself a treat by eating it. The sugar coated strawberry is so delicious and looks really eye catching! Who wouldn’t want to eat them all? 5. 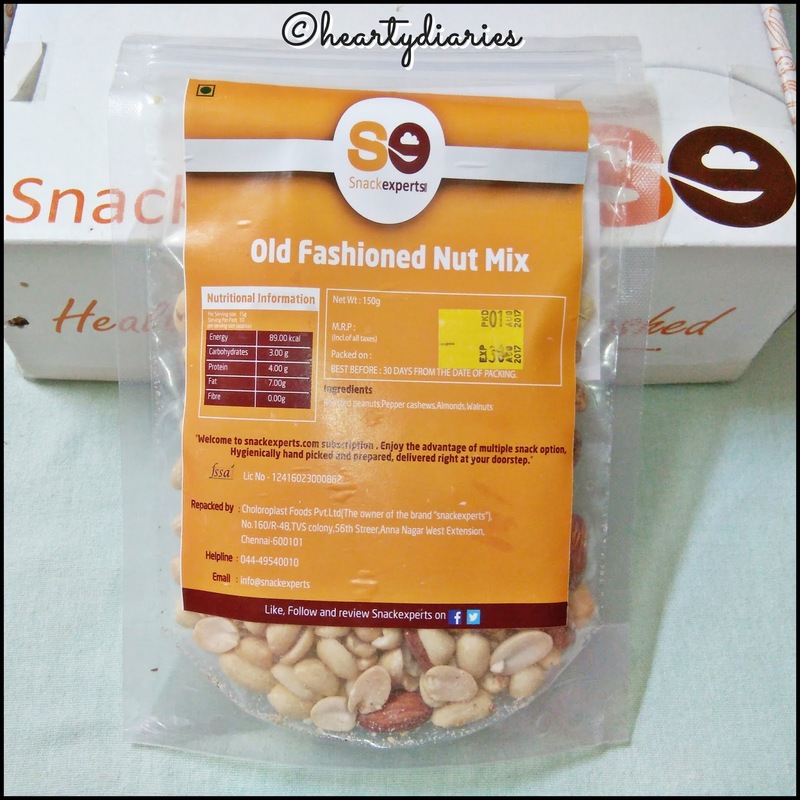 Old Fashioned Nut Mix: We all love nuts but don’t eat them in an assorted pack. 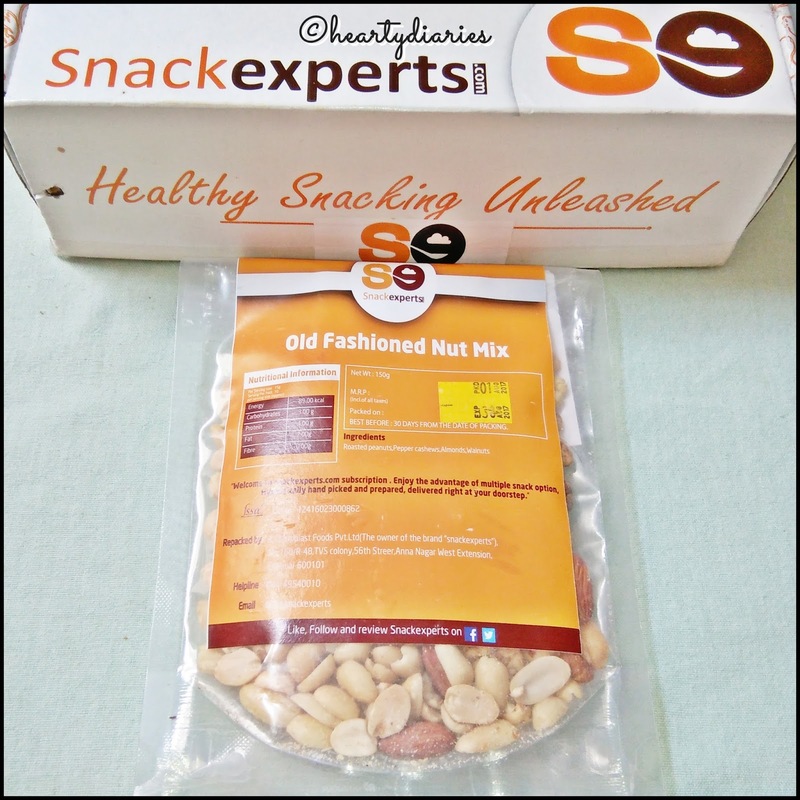 Old Fashioned Nut Mix is basically a mixture of pepper coated cashews and carefully sourced peanuts, almonds and walnut. I don’t think I need to describe the taste but I’ll say I really like this mixture and enjoy eating it. I just wish that the peanuts were roasted as I love & prefer it more. Are you also going nuts over these nuts? 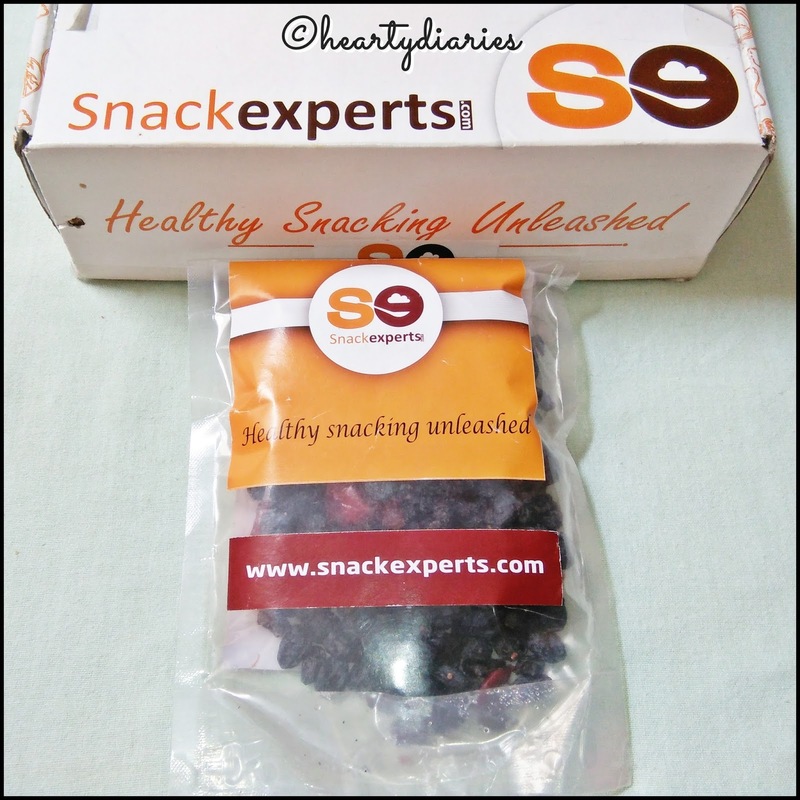 All these snacks weigh 150 g per pouch in Rs. 699 box and cannot be bought separately. 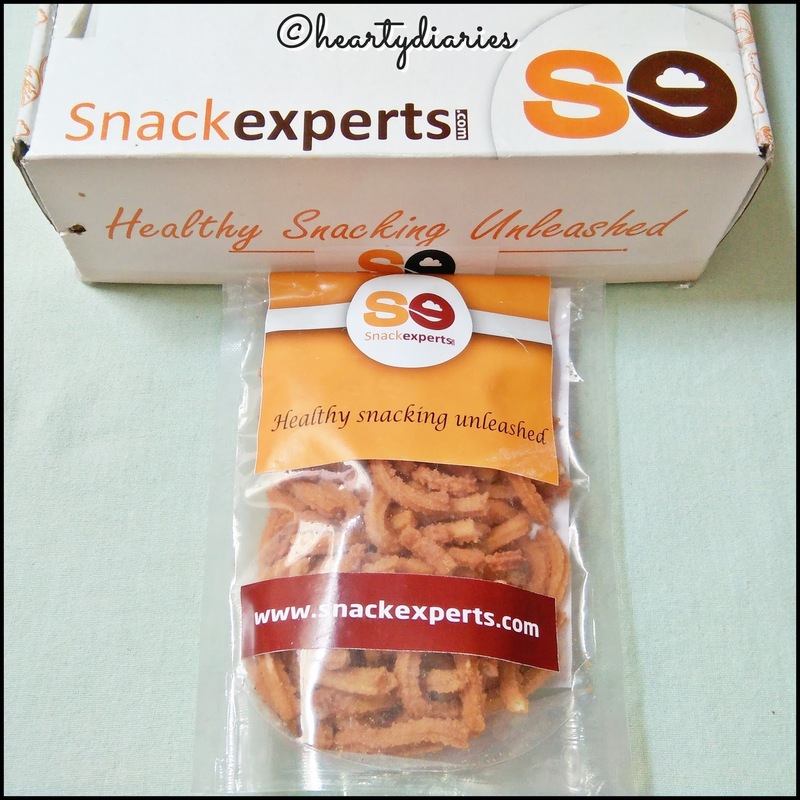 You can only avail these snacks in the subscription box.. This review is not sponsored but I cannot find any cons in this Subscription Box. I am happy to find quantity and quality here.. Yes. 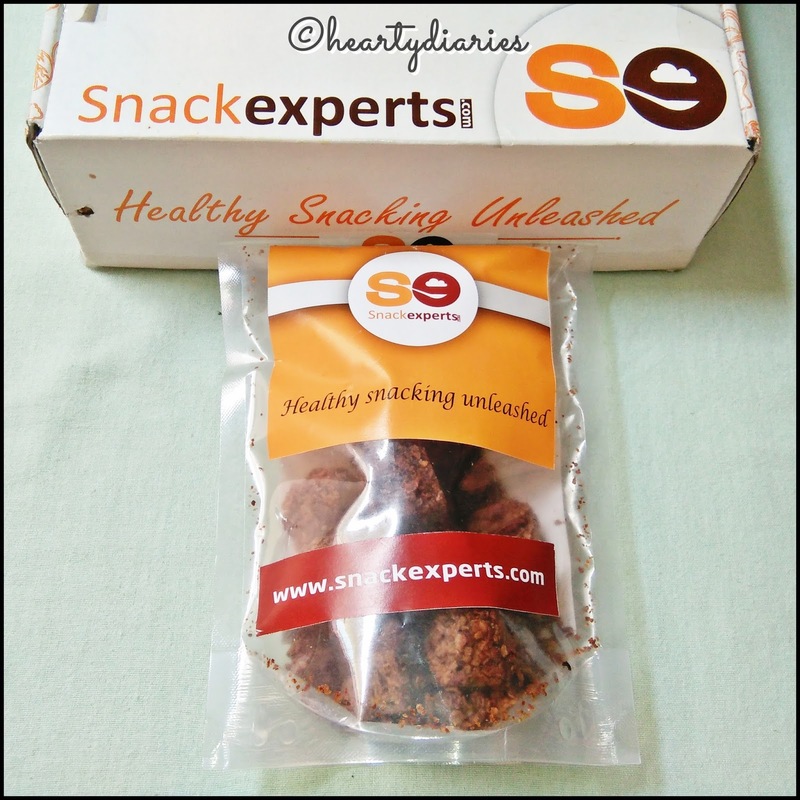 I’ll highly recommend you guys to go through SnackExperts and try their subscription. You will love their variety, taste and every thing, in addition to getting healthy snacks. Make sure to post your reviews about this box in case you try their subscription on Facebook, Twitter or Instagram and let them know. Every body loves feedback and they’re highly encouraging. 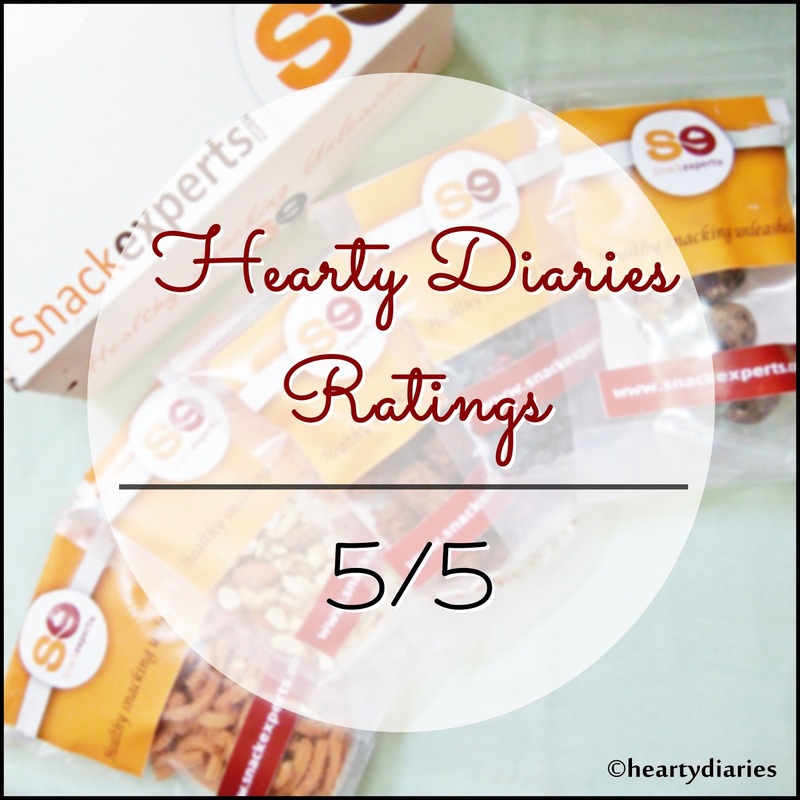 Final Verdict: Overall, I am really happy with SnackExperts and their overall service. 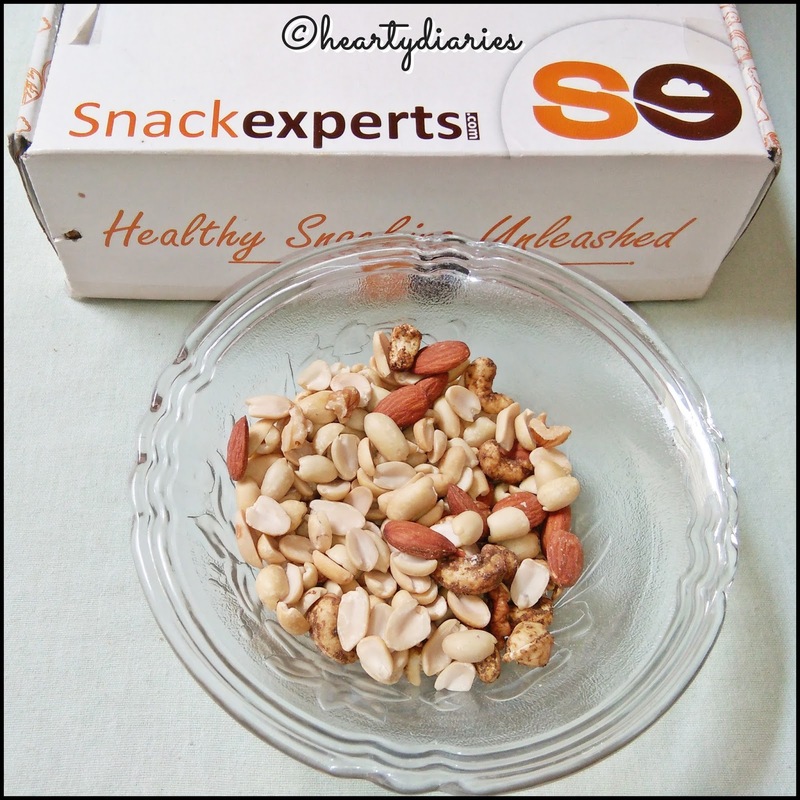 I thoroughly enjoyed eating these delicious snacks with my family and found really great quality. I just wished there were some cookies options as well because I love them so much! I hope the brand listens to me and takes my suggestion as a positive note. * Box sent by Brand for reviewing purpose, but my reviews are honest and unbiased! Watch my YouTube Unboxing and Review here.. So that’s it for today guys! These were the five snacks I received in my SnackExperts box.. I hope you liked this post! Do let me know by commenting below. Don’t forget to share this post and follow my blog..